It can be used with other Marathon distance mountain bike races like Big Frog 65 in the NUE series. 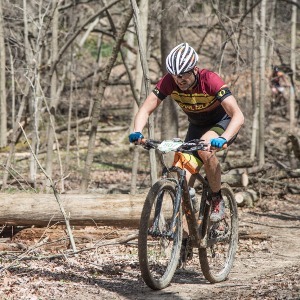 This plan is for the Beginner / Intermediate cyclist who wants to complete the Mohican 100K mountain bike race. You should be able to dedicate around 10 hours per week for training. The beginning, base phase of the plan includes strength training, so having access to the gym is helpful. Your goal is to put out the most power you can over 20 minutes, but also to be smooth & consistent as you perform the effort. Don't go too hard in the beginning.... and finish strong.